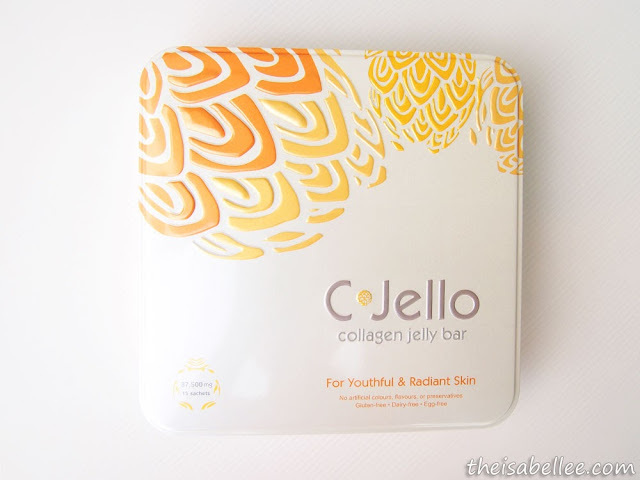 I've taken collagen supplements in pill and powder form but this is the first time I've seen and heard about collagen jelly bars! 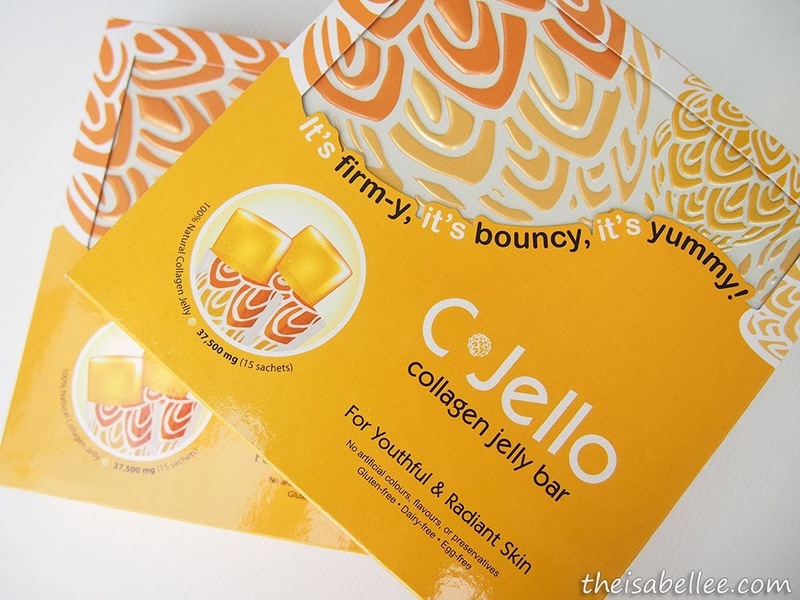 C-Jello is the first collagen jelly bar exclusively created in Korea. It's firm-y, it's bouncy, it's yummy! Nice tin but almost killed my nails trying to open it. Opened the tin and fwoosh! 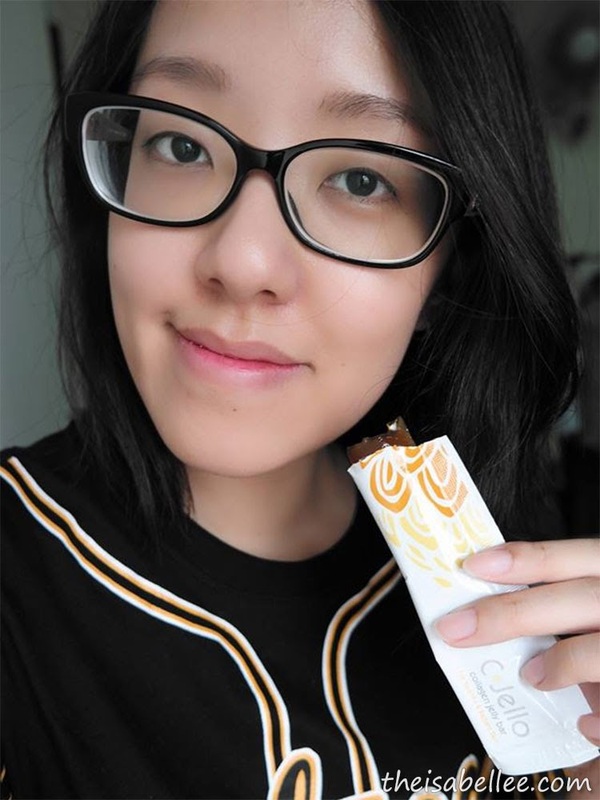 OMG this collagen bar smells uh-may-zing! It's kinda like mango sweets =D There are 15 sachets in a tin. You're recommended to take 1 per day but you can eat up to 4 sachets a day. I love how C-Jello is conveniently packed individually and ready to eat so I pop a bunch into my bag and have them at work. Nom nom nom... Never missing a day! I keep half in my office so I have one every morning. 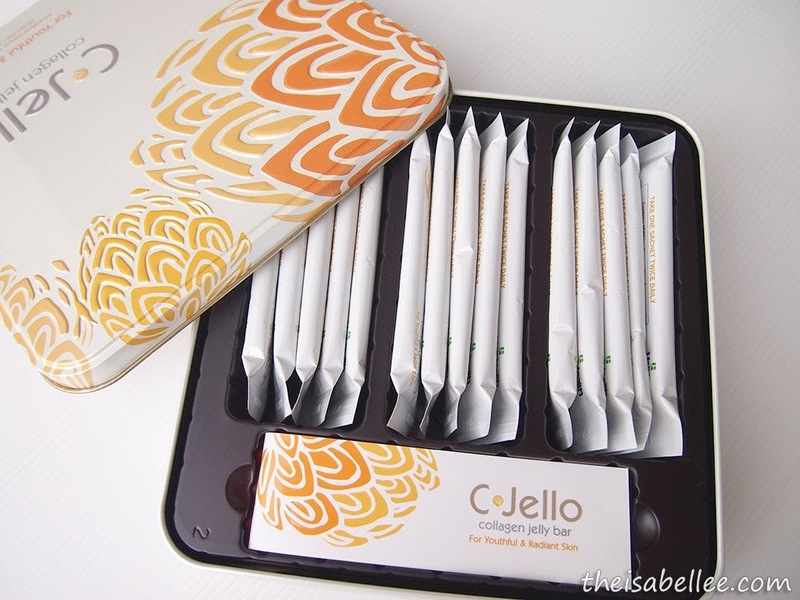 I'll be back to show you the results after consuming C-Jello for 2 weeks! They use Hydrolysed Collagen because it's easier to digest and the smaller particles get absorbed faster. It can deliver more than 99% absorption in the body and skin! have consumed this, is really yummy with fresh smell! i had try it too. like it so much . my favourite too, so easy to eat and carry anywhere. Love it so much. I love C-Jello Collagen bar too. I like the taste and it really had good effect on me. 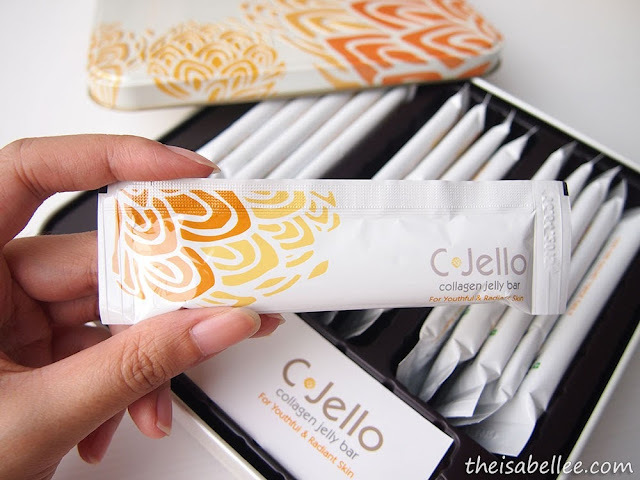 What a great idea to have collagen in bar form. it definitely beats the drink/power form, or the pills... I always forget to take them! With the bar, I could just chuck it in my bar and eat it as and when I remember. I see that it's only less than RM20 per bar. This looks nice but how does it taste as collagen word sounds so different to me. Oooh, delicious collagen! Me want me want ! INTERESTING! Looking forward to see your results after two weeks! 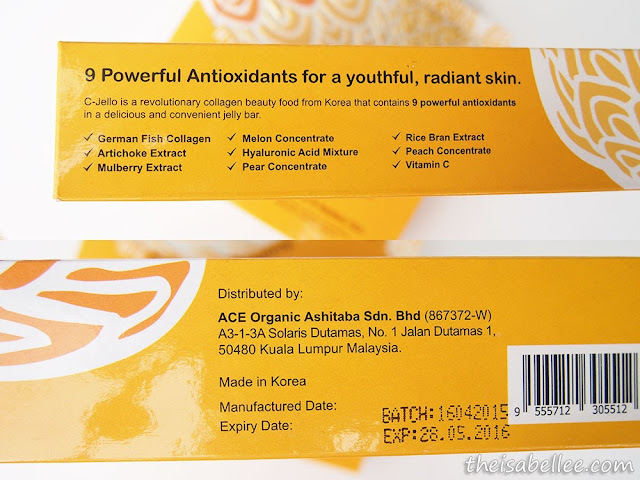 I saw a lot of blogger have try out these product, it look like quite interesting. Waiting to your result soon! 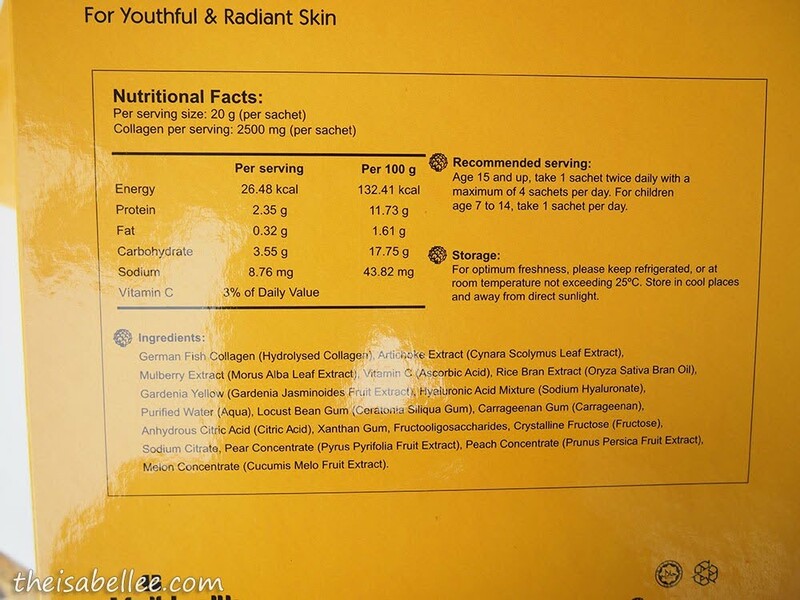 :D.. been hearing and reading about collagen very frequently nowadays. Now i need some for myself. I wonder how this collagen can help men. Hahaha. Will look into this if it helps. After reading your post make me miss their collagen jelly bar! It was so yummy and the peach sweet taste! 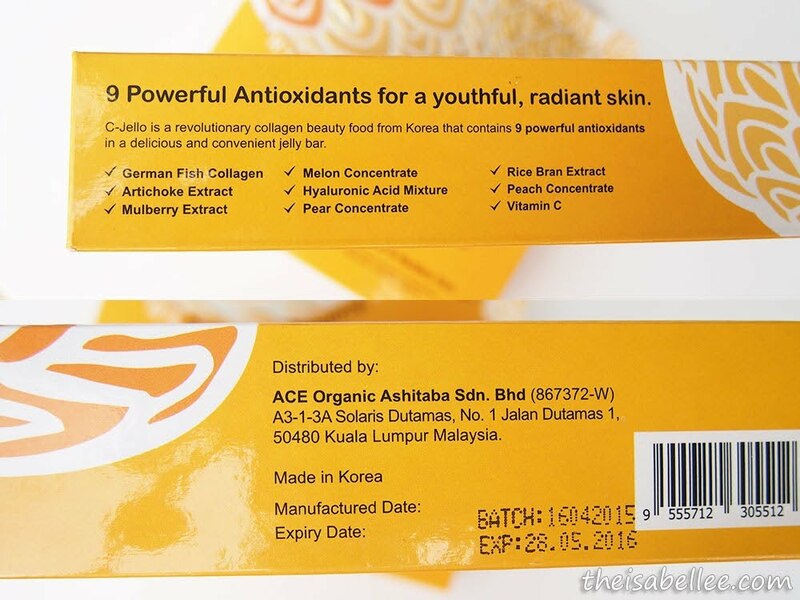 In the same time its contains collagen that are good for our skin and body! i love the taste of this product, wish to have more of it coz it does make my skin better when taken in the long run. can eat when menstruation period ?